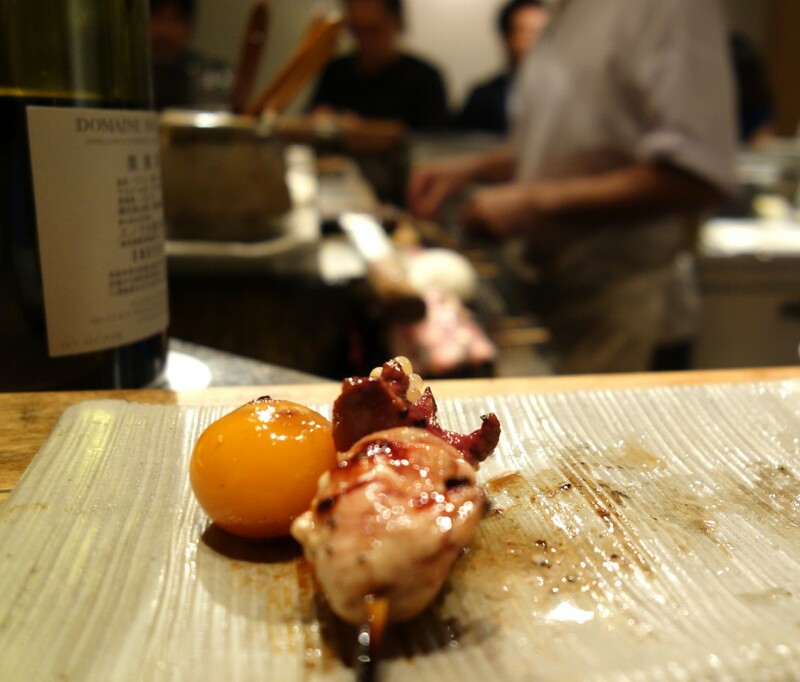 Ikegawa-san works tirelessly, both from preparing over 200 chickens a day for his dinner service at Torishiki to grilling chicken non-stop for over six hours a night at his 1* establishment in Meguro. The different parts of the chicken are juicy, moist and grilled to perfection (duck and various seasonal vegetables are also available). Even the sasami, cooked rare and served with wasabi, which can often be chewy, has a soft and delicate texture; the tsukune are superb, extremely flavourful and with a great bite from a little cartilage. However, there are two main highlights to the meal. 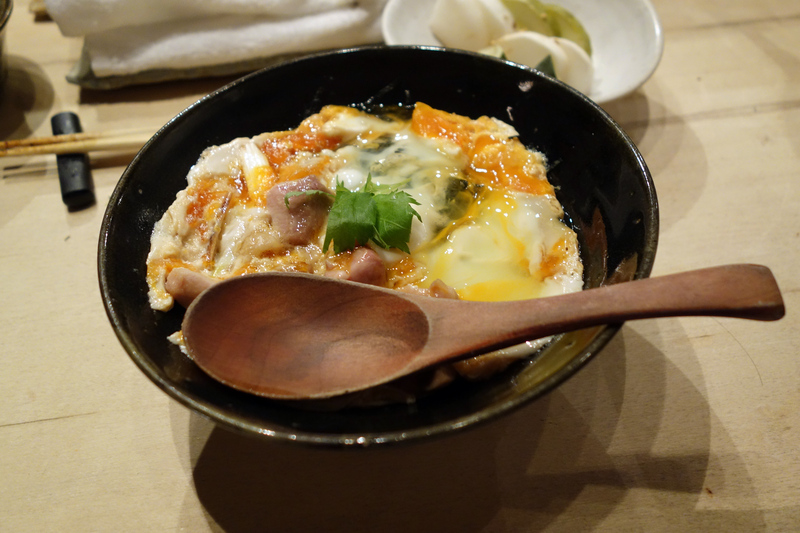 (1) the chouchin (pictured above), which is the uterus/fallopian tube along with a egg before the shell is formed – this may not sound appetising, but is truly delicious and requires serious skill to cook; and (2) the oyakodon, which is a class above the establishments widely regarded to be the best in Tokyo, such as Tamahide. Besides the food, the ventilation system at Torishiki is incredible – unlike every other yakitori shop I have visited, it is absolutely smoke-free, thanks to a specially constructed extractor fan under the grill. It is no surprise that this restaurant remains notoriously difficult to book, although walk-ins are sometimes accepted after 9pm.